Amazing things happen when you have a blog. 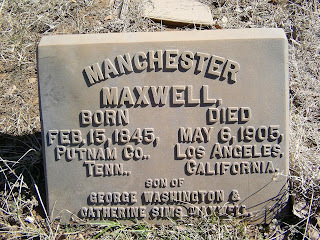 A few days ago, Teresa (previously unknown to me) was doing some research, saw my blog about Flagstaff's Citizen's Cemetery, and wondered if Manchester Maxwell (her ancestor) might just be buried there. She contacted me, asking if I would look. Of course, I love a good mystery, and, having lived in Arizona most of my life, I just dove right in and starting doing some research out here in Arizona! Teresa and I communicated back and forth, each providing new clues as to where Mr. Maxwell had been in Arizona. Teresa already knew Manchester had been a soldier in the Civil War, had been taken prisoner, and when he was released, he left the area, disappearing for awhile, and her family lore had him going to Oklahoma's oil fields or to Arizona. Teresa had found his obituary in the Prescott, AZ newspaper, stating he was a sheep farmer from the Flagstaff area. 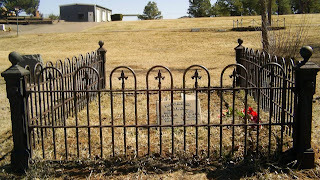 Mr. Maxwell had died while visiting Los Angeles and his remains were shipped back to Flagstaff for burial in May 1905. Then Teresa found a Google Book which listed Manchester as a Delegate to the Seventh Annual Convention of the National Live Stock Association in Portland, Oregon. He was the delegate from the Arizona Wool Grower's Association and it stated he lived in Bellemont, Arizona (about 7 miles from Flagstaff). I did a little research and found out that Bellemont was the home of many sheep ranchers in that time period (late 1800's). I've been to Bellemont many times. It's a very small town, even now. Yes, Bellemont, Arizona is the place where part of the movie "Easy Rider" was filmed (you remember? Peter Fonda and Dennis Hopper starred in this famous film). Bellemont is featured in the film when Peter and Dennis stop in front of the Pine Breeze Motel, tried to rent a room and the proprietor (opening the door a crack, and seeing bikers) promply turned on the neon "NO VACANCY" sign. They still have that sign, hanging over the Route 66 Roadhouse Bar & Grill, located on the same 2.5 acres as the Pine Breeze Motel. And so our research on Manchester Maxwell continued and I decided he just HAD to be buried in Flagstaff (he resided in this area for over twenty years) and it HAD to be Citizen's Cemetery! We have had much snow over this past winter, and the last I had tried to go to the cemetery, it was under two feet of snow. But, as fate would have it, we've started having our Spring thaw. The cemetery had hardly any snow, and it was a gorgeous, sunshiney day! Shawn and Greg, the caretakers of the Citizen's Cemetery are so very helpful and they directed me right to Mr. Maxwell's gravesite. I will tell you more about Shawn and Greg and the help they have/are providing me in my researches there, in another story. But, I digress. What a beautiful gravesite it was! 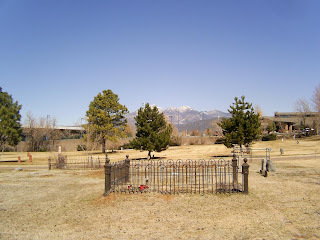 Surrounded by a wrought iron fence and positioned so that the San Francisco Peaks provided a backdrop to the view, Mr. Manchester Maxwell sleeps in eternity in what, I'm sure, he considered his home...Flagstaff, Arizona. The uncanny part of this was, as I was walking toward the gravesite, I knew I'd been there before. Yes, definitely, I was...I remembered that, quite some time ago, my husband and I had been at the cemetery and were drawn to this gravesite because of the wrought iron fencing and the beautiful view. Never did I think, then, that I would be photographing it and getting to meet his descendant! Thank you, Teresa, for allowing me to post this story and photos on my blog! And thanks, Shawn and Greg for helping me out today! Cheryle, your story gave me "goose bumps". Wow, aa wonderful story! It's realy something that the gravesite is set apart so distinctively and that you'd been there before! This is just awesome. I'm going to nominate you to Randy Seaver for one of the Best of the Geneablogs for this week! Wow, Becky! I'm glad you enjoyed it! And thank you....for the nomination! I'm very honored! This story really turned out to be some kind of awesome for me, for sure! Two days, two women, putting their heads together and doing a lot of research...and it was resolved! Now, Teresa is going to put together all the details of her gg-grand uncle's life. I love a good mystery too! Cheryle the Graveyard Rabbit, or as she is affectionately known in this household as "Sistah Maxwell", is an amazing person! After finding the first clue of where my long lost uncle had spent is final days, I Googled and happened upon Chreyle's blog...within hours she sent photos of the grave of the uncle that had been the family mystery for generations. My now dead for 18 years great-uncle had searched unsuccessfully for Uncle Manchester for many years. I took up the torch when I first became interested in genealogy 10 years ago. Uncle Manchester was a sheep rancher. When he died my great-great-grandmother, his sister, inherited a sum of money that she used to buy farms for her two sons in Tennessee... and I'm sure some of that money went to buy the machine shop that my great-grandfather owned and where he trained his three sons and grandson (my father) in the profession of tool & die making. Thus I have always attributed my good life to the fortunes of Uncle Manchester. But the story goes full circle... I am an avid knitter, spinner, weaver, and dyer of WOOL, the very thing that Uncle Manchester was involved in producing in Arizona in the 1880's and 1890's. It's been more than a 100 years, but thanks to Sistah Maxwell Cheryle Rabbit, we now have found our Uncle Manchester. THANKS Cheryle!!! Thanks, Dorene! Glad you enjoyed it! Sistah Teresa: It was quite an honor to help you find Uncle Manchester! We worked together and it was fun! Every time you work with wool, Uncle will be on your mind, no doubt! Glad you came and posted, thank you! Great story. So nice that you were able to help find him. Nice job. Hip-hip-hurrah for the private citizens out there in our cyberworld, especially Sistah Maxwell Cheryle Rabbit... and boo-hiss to the official institutional employees that our tax monies & handling fees pay to do a job that they fail at. It was back in March that I first contacted Cheryle about locating the grave of my long-lost uncle. Within 24 hours she had located the grave and sent photos of the site. Upon confirming my uncles final resting place and firming up the details of his last days in 1905, I ordered his death certificate from VitalChek, faxed the required notarized forms, and sat back to await the arrival of this document. It's now July (4 months later) and VitalChek is bouncing my request back and forth between their support people, sending contradicting emails about WHY I have still not received my document (though they charged my credit card months ago). The Arizona State Archives hasn't done much better. On the same March date I ordered probate records from the AZ Archives and received a confirmation email that my order was received and would be processed. Again, July is here and when I inquired as to the status of my order I got an "OOPS" email... "our system received your order, confirmed it, but DID NOT forward it to an archivist for processing...we'll get right on it"
I had hoped to have all the information to finalize this story about Uncle Manchester Maxwell LONG before this, but due to the ineptitude of the official systems I am still waiting... Sistah Maxwell, hang with me.... one of these days I will be able to shake loose the info we need to bring this story full circle. September 14th, 2009..... I've only been trying to obtain the probate records for Manchester Maxwell since March. Today my postlady deposited a very large envelope in my mailbox.... 72 pages of the probate records of Uncle Manchester. I'll report back when I have had time to digest all of this information. Sistah-Maxwell-Cheryle-Rabbit, There's more to follow!!!!! As a family historian and genealogist, my interests naturally evolved to cemeteries and their care. I am a Find A Grave volunteer, and also owner of Northern Arizona Gravesite Caregivers (providing floral deliveries and gravesite maintenance for a modest fee). I am also a Period Costumer sewing clothing from all eras from Renaissance and Medieval, Revolutionary War, Civil War, Pioneer to various decades of the 20th century. SAPPHIRE DAWN STUDIO is my ceramic and pottery studio, located in the beautiful mountains of Northern Arizona. “In the white moonlight, where the willow waves,He halfway gallops among the graves---A tiny ghost in the gloom and gleam,Content to dwell where the dead men dream,” that is the Graveyard Rabbit. Ten years for 100 Years in America! LBOL: Missing Marker or Movie Prop? 84th Meet A Rabbit Column Posted! Mark Twain has a new book out! Who was Wyman R. Brown? Rate my Blog, Please? Thank You! 1. 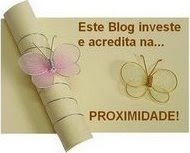 Copyright: This blog and its contents are copyrighted 2007 by Cheryle Hoover Davis. It's mine, all mine.